In the framework of the bilateral collaboration between SIC and the Ministry of Innovation, Science and Technology of the State of Jalisco, Mexico supported by the Smart Accelerator project, SIC welcomed three representatives of the Mexican state of Jalisco from 27th to 31th of August. 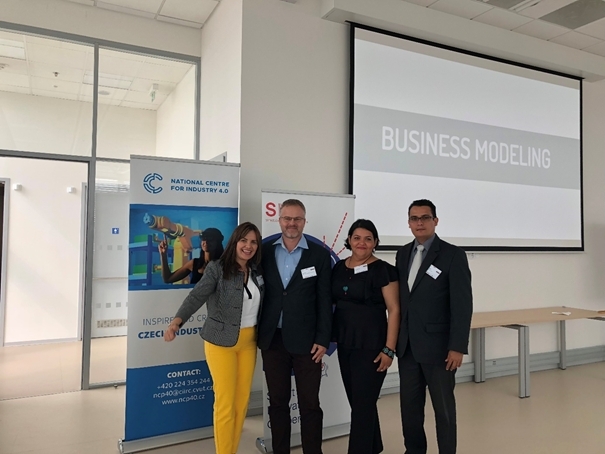 This visit represented a continuation of the study course that SIC carried out in April 2018 in Jalisco to learn about their innovative programs in the area of digital transformation. Mrs. Teresa Quintana Rodríguez, Director of the Innovation Center for Economic Development under the Ministry of Innovation, was accompanied by two designated ‘innovative ambassadors’, Ms. Priscilla Espinosa and Mr. Joel Salcedo, who are also professors at the Institute of Technology Mario Molina. The goal of the visit was to introduce Central Bohemia’s innovation ecosystem and to meet with some of the key stakeholders of the region, such as, BIOCEV, Hilase, SVUM, Skoda Auto University, and with the support of the Chamber of Commerce of Central Bohemia meetings with the Technopark Kralupy and innovative companies like Linet and Beznozka in the healthcare field were held in order to discuss specific areas collaboration. In addition, in cooperation with the National Center for Industry 4.0, a workshop called: ‘Innovation Agents Training’ was organized to demonstrate the tools, programs and trainings that the Ministry of Innovation of Jalisco is utilizing to form human talent and trigger innovation in strategic sector in the different parts of their region. The outputs of the visit can be divided in three lines of actions: education, science and technology and promotion. From the area of education, continue promoting the mobility of students and researchers, also Skoda University found interesting the possibility to participate with digital content in the Digital University created by the Ministry of Innovation of Jalisco. 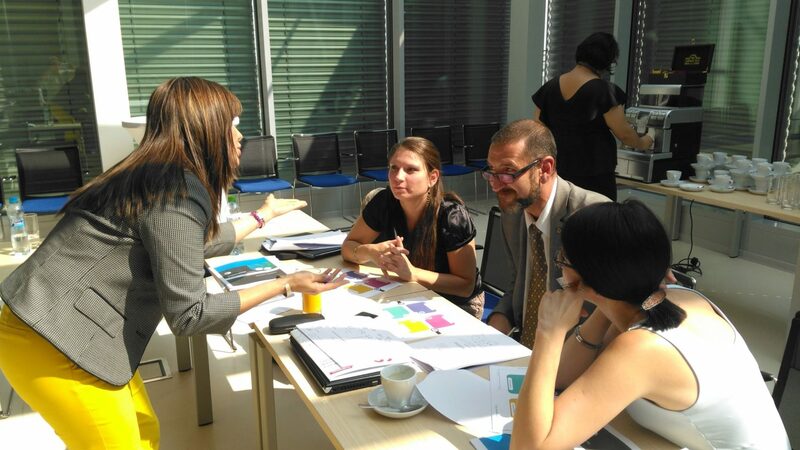 From the area of science and technology, specific problems facing Mexican companies in the area of chemistry were identified and how the Technopark from VCHT in Kralupy nad Vltavou could help find a solution. Last, but not least, in the area of promotion, SIC and the Mexican counterpart agreed to increase their efforts in disseminating further cooperation opportunities between both regions. In more detail, the program was very rich and varied. On Monday 27.8. the delegation met with prof. MUDr. Pavel Martásk, DrSc., Director of the Biotechnology Center BIOCEV in Vestec and followed by the visit to several laboratories. The delegation then moved to neighboring Dolní Břežany, where HiLASE laser center was introduced by Simon Hutchinson, Ph.D., Innovation and Business Development Manager. 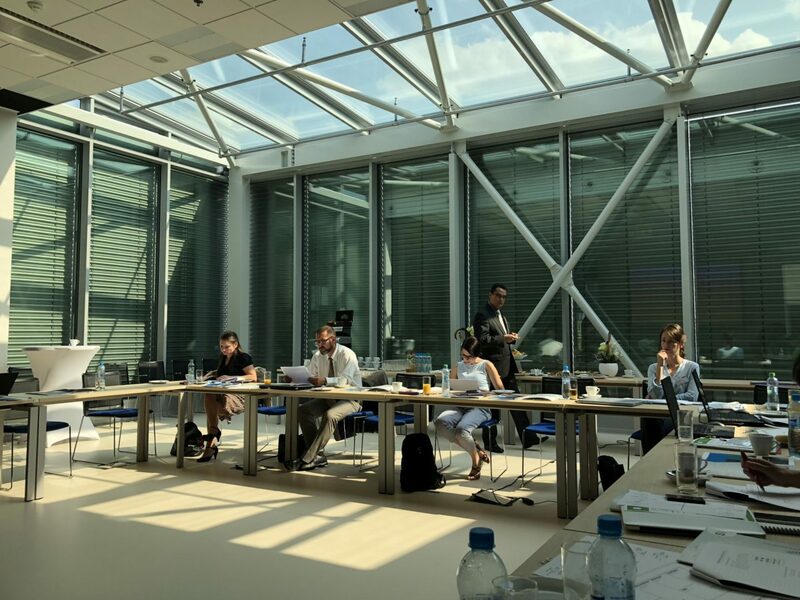 On Tuesday 28.8. the workshop called Innovation Agents Training organized by SIC in cooperation with the National Center for Industry 4.0 at the Czech Institute of Informatics, Robotics and Cybernetics (CIIRC) took place. 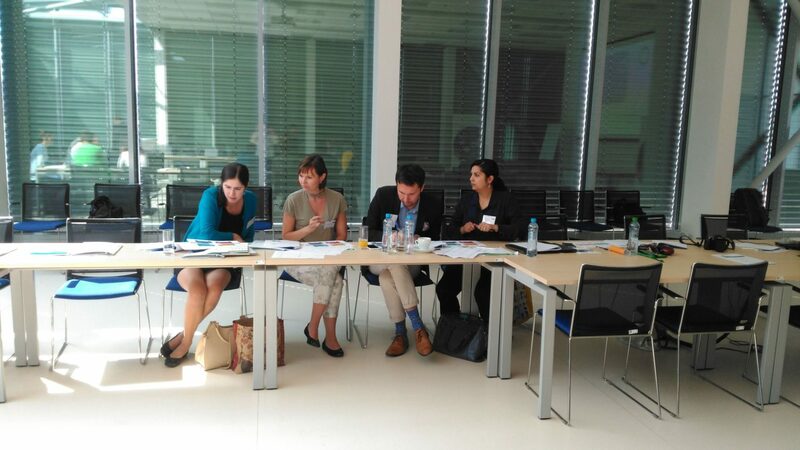 The workshop was led by Mrs. Teresa Quintana, assisted by the two innovative ambassadors of the State of Jalisco. The topics of the workshop were the introduction of the Jalisco’s innovation eco-system and the training techniques used to train people who create an innovative network of key partners in Jalisco to implement the innovation strategy. 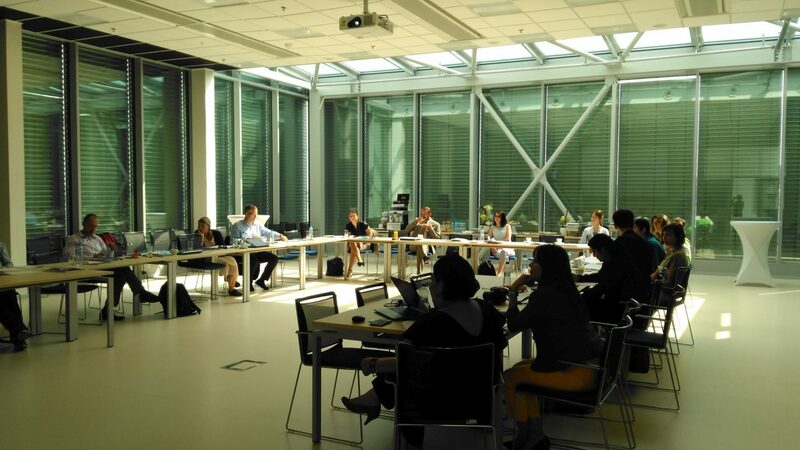 The workshop was attended by representatives of Central Bohemian companies and research centers, as well as by public institutions such as TAČR and CzechInvest. On Wednesday 29.8. the delegation went to Mladá Boleslav to visit ŠKODA AUTO University. The meeting was held with the Rector Ing. Pavel Mertlík, CSc. and the Vice-Rector Mgr. Lenka Stejskalová. Several topics were discussed, among them the possibility of establishing a partnership with Digital University of the Ministry of Innovation of Jalisco, which is link to several universities in order to offer a wide range of programs, also in English, and is currently trying to expand its portfolio with other foreign universities. „This model, when a private company establishes a college and is so closely intertwined with the needs of the private sector, is very interesting. We do not have anything like that in Jalisco. We would like to cooperate with ŠKODA AUTO and have offered some of their programs to our students at the Digital University through on-line studies, „said Teresa Quintana. The next stop was to Central Bohemian Čelákovice, where the private research institute SVÚM a.s. – Research and testing center of materials is located. During the meeting with its Director, Mgr. Ivo Hain, the experiences of transferring research results to the application sphere were discussed and how to connect Mexican companies with SVUM for contractual research. 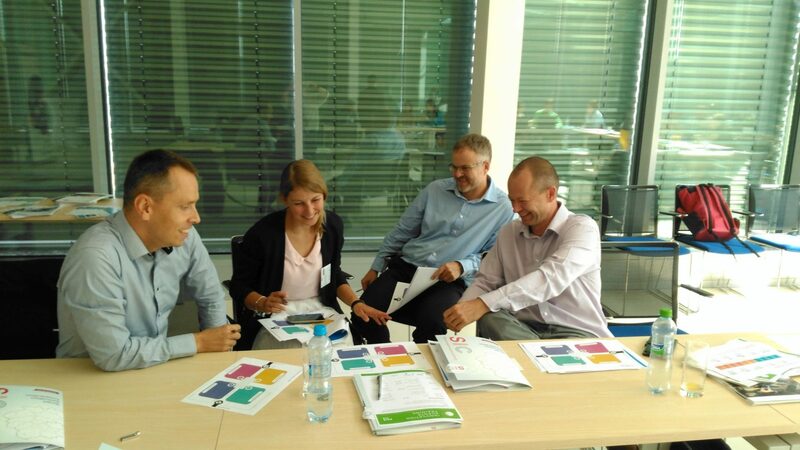 On Thursday 30.8. two important Central Bohemian innovation companies were on the program, LINET spol. s r.o. and Beznoska s.r.o., which operate in the field of health care, one of the strategic sectors of Jalisco. LINET is already cooperating with Mexico, and its sales manager, Mr. Petr Foit, mentioned the probability to expand their exports within the country. At the meeting with Beznoska, it was mentioned the idea to connect Beznoska with the Medical Cluster of Jalisco, which has an agreement with the University Hospital in Guadalajara to create a living lab where innovative technology is tested in order to reduce the time for the products to be in the market. The third meeting of the day was held at Technopark in Kralupy nad Vltavou, which is part of the University of Chemical Technology in Prague. Here, too, common intersections and possibilities for further cooperation were sought. The visit concluded with a meeting together with the Ambassador of Mexico in the Czech Republic. 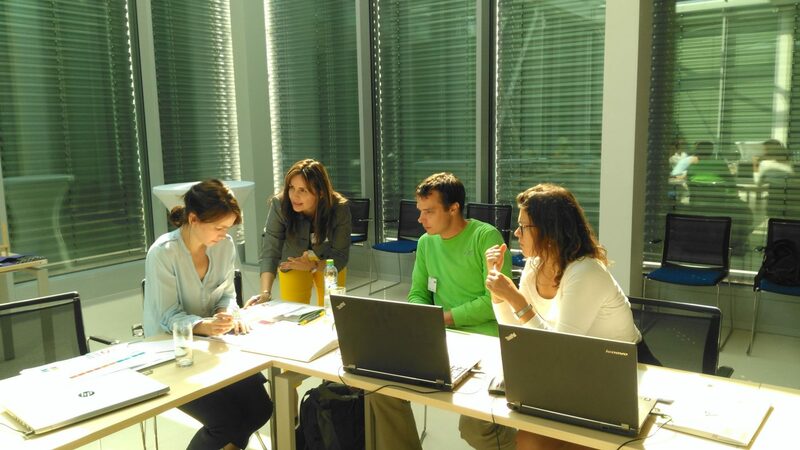 „The innovation environment of the Central Bohemia region was very inspiring for us. This region has great potential in terms of major infrastructures, many companies and talented people. The Central Bohemian region is close to us in having the same strategic sectors: ICT, Food Industry, Health and Biotechnology, and I am very pleased that this cooperation is taking place between our regions. What we need to do now is to concentrate in one or two action that we can turn into reality to build trust and develop gradually our relationship„, concluded Teresa Quintana.